How do I get Milk Street Magazine? Can I buy a subscription? Do you offer gift subscriptions? Milk Street Magazine, our print publication, is now available! To purchase a subscription, buy gift subscriptions or request a free charter issue, head over to our magazine page. I forgot my Milk Street password. How can I reset it? To reset your password, visit our forgot password page and enter your email address to set up a new password. I want to upgrade my print subscription to include access to Milk Street Digital. How can I do that? As an existing print subscriber, you can use our upgrade form to update your subscription. You will need your account number, which can be found on the front cover of your magazine issues. I heard you’re filming a television show! Who’s in it? When will it air? Where can I watch it? Christopher Kimball’s Milk Street Television is hosted by Christopher Kimball with lots of new co-hosts, guests, and cooks. The second season airs on U.S. public television starting September 2018. American Public Television will distribute the show, and they will be co-presenters along with WGBH Boston. How do I make sure I get your TV show on my local public television station? If you’d like to see our TV show in your area, email your request with the name of your local television station and your ZIP code to [email protected]. Where can I listen to your public radio show and podcast? 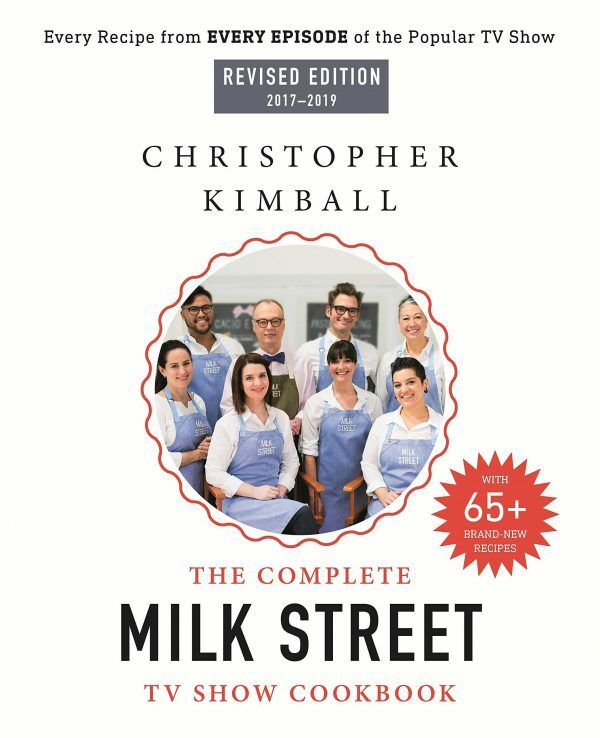 Christopher Kimball’s Milk Street Radio is our weekly public radio show and podcast featuring Christopher Kimball as host, alongside co-host Sara Moulton and weekly guests from the culinary world and beyond. You can listen to the broadcast on your local public radio station (see our station finder for listings), or subscribe and download the podcast on iTunes, TuneIn, Stitcher, or Google Play. More information about the show, along with past episodes and links to recipes, can be found here. Tell me more about Milk Street Cooking School. Where’s it located? How do I find out about courses and class timings? Milk Street Cooking School is open! You can view course listings and book a class. Most courses will be held in the evenings, will usually last for three hours, and will be held at 177 Milk Street, Boston, Massachusetts. We also offer gift certificates and organize private events—contact [email protected] for more information. I don’t want to miss a thing! How do I stay informed about everything Milk Street is up to? Sign up to our mailing list! Every week, we’ll send you recipes, tips and techniques, news and updates, a personal letter from Christopher Kimball and more. No spam, promise. Why the name “Milk Street”? We’re located on historic Milk Street in downtown Boston, in the erstwhile Flour & Grain Exchange Building. Milk Street was given its name in 1708 after a milk market that was located here; it’s also the street where Benjamin Franklin was born. I have a question that isn't answered here. How can I get in touch? Go to our Contact Us page to get in touch with the right person to help with your inquiry.